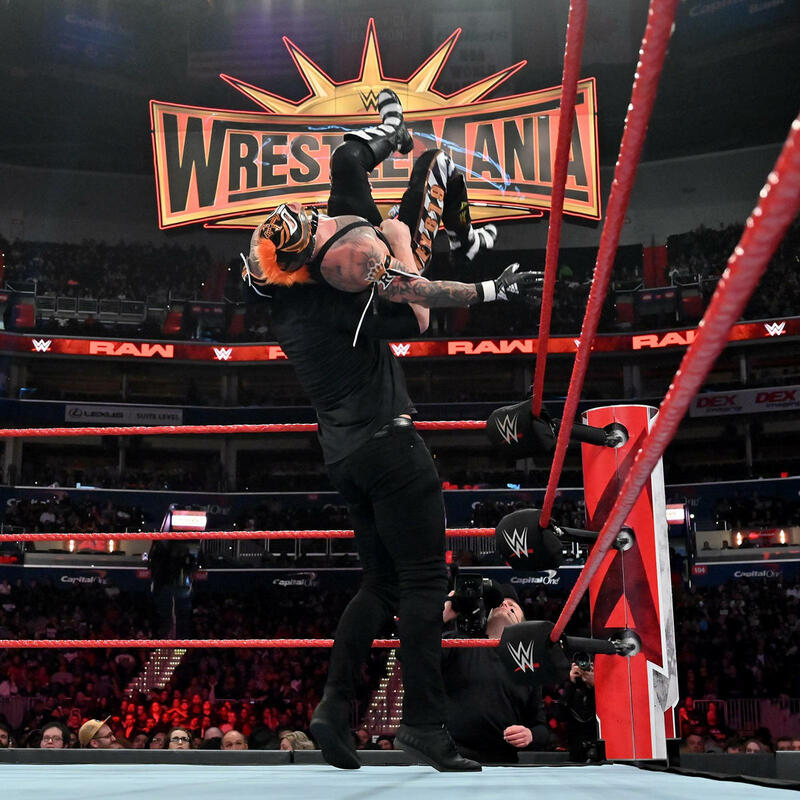 Rey Mysterio suffered an injury on the go-home RAW before WrestleMania. This happened during a match that was actually made because Kurt Angle couldn’t compete. Sadly, Mysterio suffered an ankle injury in his match with Baron Corbin. At this time, it looks like his WrestleMania match against Samoa Joe might be in question. Mr. 6-1-9 posted an Instagram update which not only provided video evidence of when he was hurt, but he also said that he is praying to be able to work the show of shows on Sunday. Let’s hope that WWE is able to figure something out if Mysterio can’t work the match. It would be a real shame too because his son Dominick was reintroduced to the WWE Universe through this program and he was set to be at ringside as well.